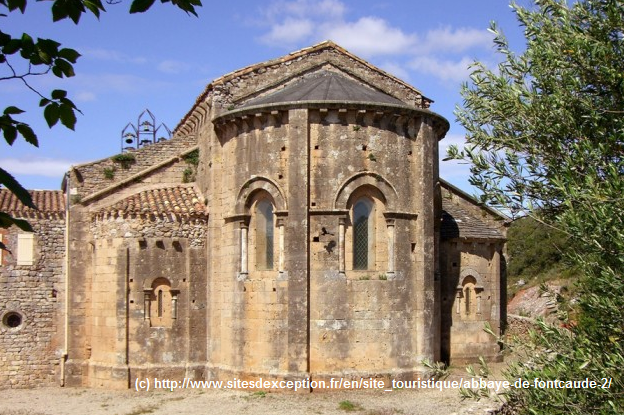 Castles, Abbeys, museums, gardens…The ” Sites d’Exception en Languedoc” network gathers prestigious sites and tourist professionals who share the same quality requirements in terms of reception and cultural diffusion. They work at transforming your stay and your visits into unforgettable moments through the discovery of a remarkable heritage. Ask for your brochure and you will have reduced fares in the other Sites d’Exception en Languedoc. In the heart of a shelf of scrublands, the valley of Fontcaude shelters a sacred spring where canons established themselves in 1154. Perfectly restored, the abbey is a jewel of the Romanesque art in Languedoc. Abbey church, convent, museum of sculptures, foundry of bells (XIIth cen. ), oil mill lead the visitor to contemplation. Stopping-off point on a road of Santiago de Compostela, the abbey welcomes concerts of Gregorian chants. exquisitely charming fountain form an outstanding architectural heritage. The enchantment is prolonged in gardens planted with roses and medieval herbs. Follow the paths of the vine-plant conservatory to discover the wine history of the abbey, culminating in a wine-tasting of their present-day production. 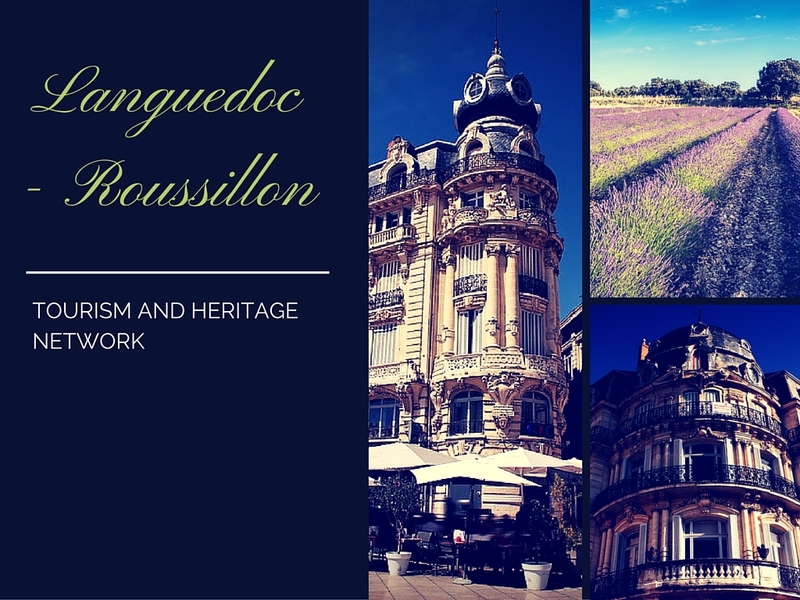 This magnificent and protected setting hosts the restaurant of the Frère Nonenque, many exhibitions and a summer music festival. Château de Flaugergues is a magnificent seventeenth century «folie ». It was developed and embellished by Etienne de Flaugergues. A quarter of the château is given over to a three-floor staircase of rare elegance, a one-of-a-kind feature with a dropped keystone and no pillars supporting it. The château contains furniture of the XVIIIth, seventeenth century Flemish tapestries and a collection of high quality porcelain and earthenware. 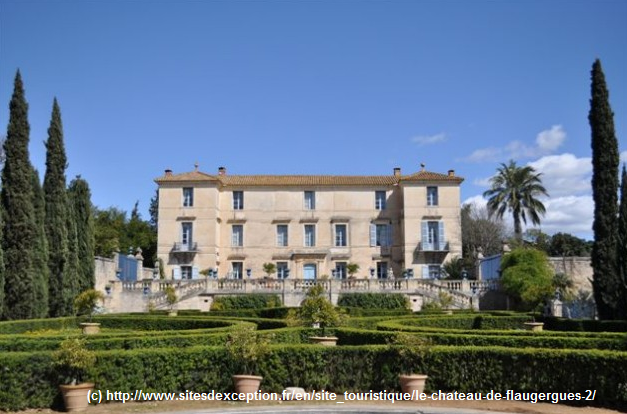 The château is surrounded by a large and remarkable garden with diverse spaces and botanical collections. this idyllic and warm setting hosts the restaurant Folia and its fine cooking of the market.